The Epic Games store lacks a lot of the features that Steam has put in place over the years, though the company has laid out a roadmap for 2019 that includes things like achievements, mods, and cloud saves. But the launcher won’t match Steam in every category. For example, Epic won’t host forums for third-party games. Epic does host its own official Fortnite forums, though the developers have been consistently active on the subreddit, and the latter tends to be a more timely source of news and notes on the game’s development. The same is true of many modern games – though smaller titles often get much more discussion on Steam forums thanks to their convenient placement. Another thing the Epic store won’t get is a trading card system. That’s little surprise, given how much general bewilderment the system still causes the general public on Steam, but neither you or Epic will be benefiting from the few extra cents made back on each game you get. 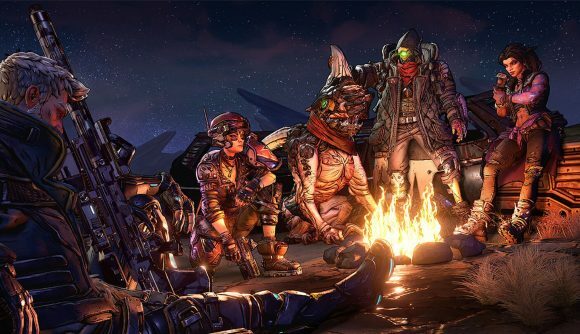 But with Borderlands 3 as the highest-profile Epic exclusive yet, there’s plenty to stoke the fires of distribution platform rage for many months to come.